The Met Gala which is arguably known as the biggest night in fashion, takes place on the first Monday in May each year. The highly anticipated event always has a theme with an infamous red carpet cocktail hour followed by a dinner party with a-list performances. The theme notoriously sets the tone for the rest of the night--Not only do the guests tour the exhibit curated around the theme but it highly inspires every outfit. For example, we'll never forget when Sarah Jessica Parker arrived wearing a massive mohawk for 2013's punk themed Gala. Nevertheless, she played the part and made every best-dressed list. If you have yet to hear, this year's theme is an honor to Rei Kawakubo, the Japanese designer behind the brand Comme Des Garçons. Known for its outrageous couture designs and heart-shaped face logo, this is only the second time a fashion designer as been the theme for a Met Gala (Yves Saint Laurent in 1983). 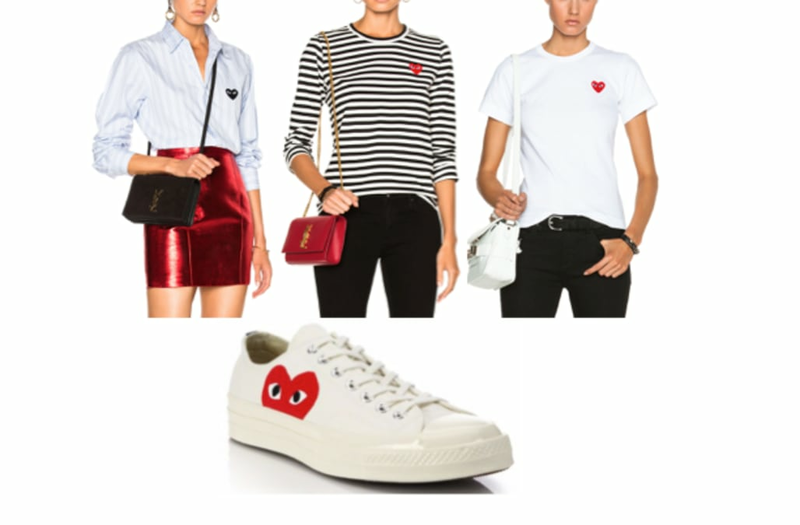 While you may not necessarily wear what Kawakubo sends down her Paris fashion show runways, her casual line 'PLAY' has some super cute luxury basics for everyday wear. Get ready for the upcoming Met Gala and shop the only designer that you need to know in the gallery below!